Are fashion colleges in the UK preparing graduates for the real world or are they failing them? With a shortfall in the number of graduates able to pattern cut and sew after graduating from a fashion degree course, what is really going on? Every year £110m of public funding is set aside to educate fashion designers. £80m of that figure, a mind-boggling 72% is spent on fashion design, to the detriment of the skills and business education the industry needs. It is such a shame that the majority of fashion graduates conceive that a role as a fashion designer is the only viable option for a career in fashion but can you blame them when the majority of the budget is spent on design? Nevertheless, they’re also possibly blindsided by the glitz and the glamour. There is so much more to the industry than working as a designer for a famous fashion house or launching your own brand. Even if you aspire to do this, there is more to it than just sketching and there are many other skills to embrace that will serve you well should you launch your own brand. The reality of working in Fashion is multi-faceted and includes many other job options in addition to design roles. From pattern cutting to machining to garment technology, the list is pretty vast. There is so much more to the industry than working as a designer for a famous fashion house or launching your own brand. 1. The ‘top’ fashion colleges, purportedly London College of Fashion, Central Saint Martins and the likes, put the impetus on creating design stars of the future. Think of Chalayan, Galliano and McQueen, all pioneers in their field but sadly lacking any machining or business skills to run their first businesses successfully. 2. The second group of fashion colleges such as Birmingham, Middlesex and Fashion Retail Academy are more technically minded and focus more on the teaching of practical skills within the fashion industry. 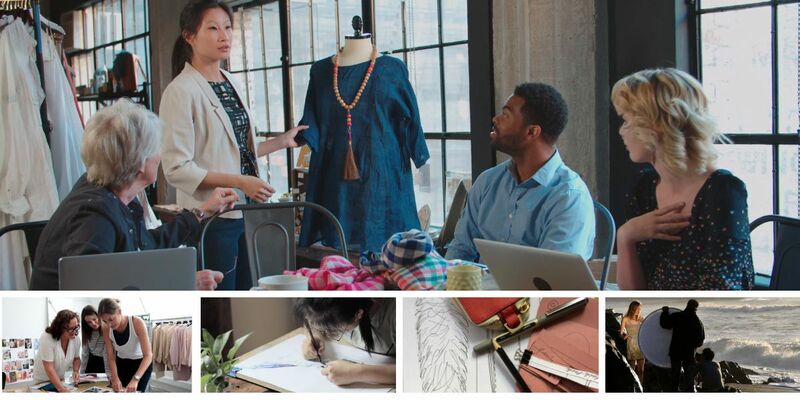 It’s important that fashion schools offer a good balance of design, technical and business modules in an age when so many graduates want to set up their own ventures. In some respect, the emphasis should veer more towards the technical and business as you should possess a natural flair for design. There is not much more to be taught in college apart from range planning and fabric selection etc. Obviously, you will be able to hone your design skills and gain feedback from your tutors but practice makes perfect and some of the design development could be done outside of the college environment while you focus on gaining skills in areas you know nothing about. Let’s take a look at some of the job options available for fashion graduates in the creative, technical and academic fields. Creative directors in the fashion industry direct the creative process in the form of an art director for a high-fashion magazine: or at a fashion design company overseeing the design of everything related to the products that are developed in the company they’re employed at. Whatever the format in which they work, creative directors use the essential skill of creativity in formulating fashion design concepts, communication, leadership and industry related technology. They set the theme, oversee the creative process and give guidance to the creative people that work under them. As well as having cutting-edge design ideas the ability to communicate them well is also important. Other team members must be able to grasp new concepts whether they’re executed through sketches, presentations and the right wording. After all, these team members will be bringing the concepts to life. Leadership skills should not be forgotten either. Once brainstorming sessions with the design team are over, the creative director must decide how a fashion project’s vision will be presented. Details such as measurements, colours, fabric choice, silhouettes and graphic design must be dealt with. A special type of person with the skills of organisation, time management, leadership and an ability to inspire others would suit this role. Let’s not overlook the need for practical and technical skills also. 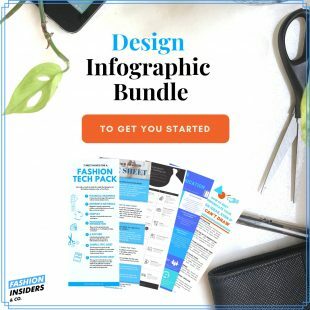 Having some knowledge of graphic design computer software and photography will enable you to play with ideas that can be shared with your graphic and fashion designers. Drawing will also be an essential skill as it will allow you to quickly illustrate concepts during brainstorming sessions. Some knowledge of pattern cutting and shape creation will also hold you in good stead for sharing prototypes of fashion concepts. Professionals who work in this role can express their skills through apparel, accessories, millinery, jewellery, footwear and handbags. The different levels include – junior designer, mid-weight designer and senior designer, depending on your level of expertise and your portfolio contents. As a designer, you may work alone or within a team with each team member focussing on a particular design department. For example, should you be employed by a mid-market brand such as Jigsaw, you may be in charge of designing ladies dresses. Other sectors within design include theatrical companies producing costumes, fashion manufacturers producing their own range or a high-end brand with a creative director you would answer to. You will need to be familiar with computer-aided design software such as the Adobe suite. In addition to this, the researching of fashion trends is essential in order to anticipate what consumers will find appealing. Sketching designs of clothes, scheduling when collections will appear as well as making decisions on fabric and colour choices are typical of a role in fashion design. Your designs will be presented to creative directors or shown in trade and fashion shows. As a designer, you are the link to the technical department who will liaise with you as you oversee the production of your designs. 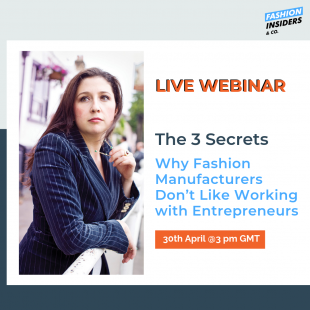 A career in product development within the fashion industry entails getting involved with developing fashionable goods for manufacturers and retailers. 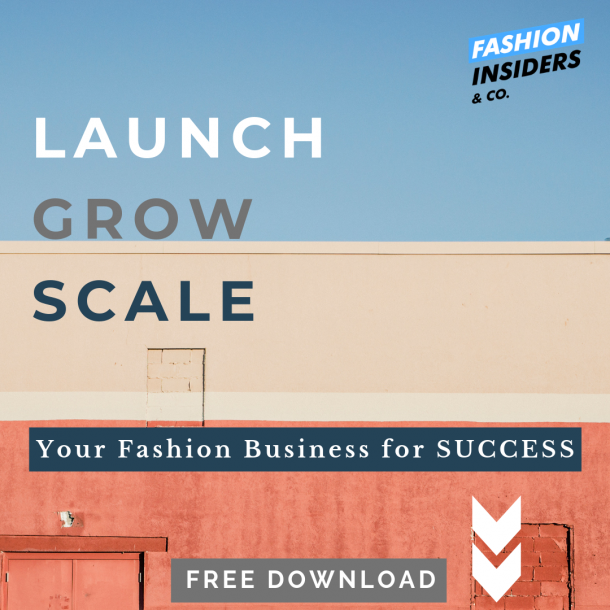 It includes planning, developing and presenting fashion-focused products for a specific market of the fashion or retail company you are working for. Also known as fashion design artists, they are specialist illustrators who focus on expressing fashion designs and ideas through art. They must be familiar with computer design software and usually hold bachelor’s degrees in graphic design or a relevant field. Fashion photography is a genre of photography which is devoted to displaying clothing and other fashion items. Fashion photography is most often conducted for advertisements, marketing content or fashion magazines. As an assistant stylist, you will cut your teeth by answering to a professional stylist. If you choose to work as an assistant wardrobe stylist, you might find a long-term position with an individual stylist, or you may be hired to work on individual projects or photo shoots. This role would entail the organising of the critical path of a product. You will work with all departments from design to shipping to ensure that every part of the development process is done within a specified time frame. The role is predominantly admin based on a requirement for organisation and communicative skills. Apparel pattern cutters or pattern makers, draft patterns based on a designer’s sketch of a style. The designer gives the sketch to the patternmaker, who can ask questions to determine details the designer is looking for. Patterns may be drafted on paper or in a computer program designed for patternmaking. A garment technologist liaises with designers, adapts designs to suit production methods, sources fabrics and accessories, undertakes quality evaluations of materials and responds to product queries, including complaints, from wholesalers and customers. As an engineer of the fashion manufacturing industry, a garment technologist will not necessarily be trained in design as their role is related to testing materials and finished garments as well as to match the correct fabrics to specific designs and everything else pertaining to the production of the garment. A tailor specializes in making bespoke garments for men or women. Items generally include suits and shirts. Entering the profession is usually done through an apprenticeship with an established tailor and lasts for seven years. Sample Machinists are a key part of the clothing design team. A Sample Machinist follows the instructions of the Designer, Pattern Cutter and Garment Technologist when sewing the sample together. They may occasionally sew by hand but usually use a sewing machine. Logistics and distribution managers organise the storage and distribution of goods. In this role, you will ensure that the right products are delivered to the right location on time and at a good cost. You may also be involved in transportation, stock control, warehousing and monitoring the flow of goods. Gather, record and analyse data about customers, competitors and the market. Market research can enable a company to help create a business plan, launch a new product, fine-tune existing ones and expand into new markets. This position will see you purchasing the raw materials or equipment required for the manufacturing of goods. Sourcing fabrics and trims as well as finding suppliers and factories will also be part of your remit. A key part of a company’s purchasing department who assists the head buyer with all of the buying. The role includes the sourcing and purchasing of the raw materials needed for successful production at the best price available and within an agreed quality specification. This could include the visiting of sourcing fairs such as Premiere Vision, in Paris bi-annually. The raising and payment of invoices may also be included in the job role. Researching the markets for new and better quality materials for your company and making recommendations to the buyer will also be on your list of duties. 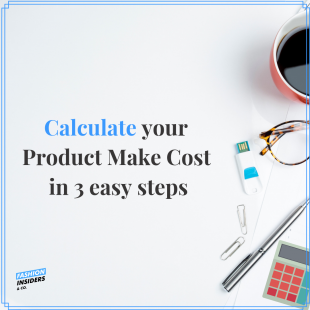 You may also have to collaborate with production and planning colleagues to ensure that materials are available in the right quantity at the right time. Fashion journalism involves all aspects of published fashion media. 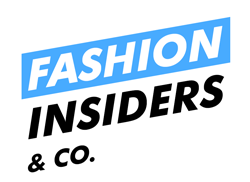 These include fashion critics, fashion reporters and fashion writers. The format will extend to newspapers and magazines as fashion features and may also include fashion books, television reports and online fashion magazines, blogs and websites. Content writers create everything from engaging fashion articles about the latest news and trends and clothing product descriptions to SEO content and extensive product catalogues. 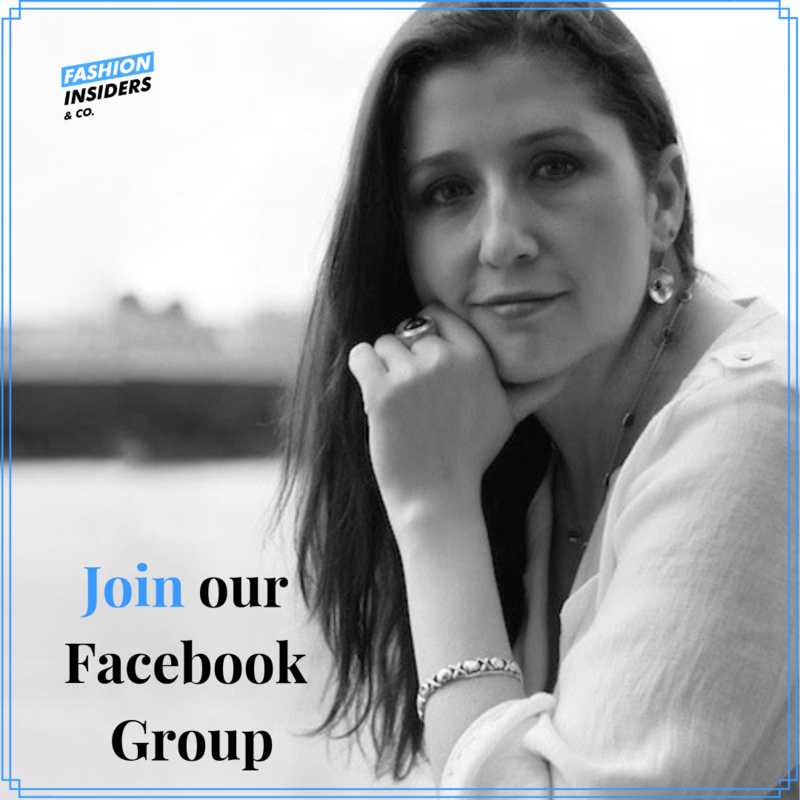 Write for us. Fashion merchandising is the strategic analysis, marketing, management, and distribution of fashion products in order to maximise profits. In this job, you will be promoting apparel sales as well as delivering clothing requests and meeting the needs of potential customers and designers. It’s clear that working in the field of fashion is not limited to employment as a designer. There are so many other options to consider that keep the industry vibrantly enticing. Some roles will require further studies, such as pattern cutting where you may want to consider a post-grad course, or machining, why not consider an internship at your favourite fashion brand. Whatever path you choose, be aware that your fashion college tutoring may not be adequate enough to get you there without further study. Which job do you have in mind? What was a new job you read or want to add to this list? Please mention below. Previous articleHow to Protect Your Designs From Being Copied?